Hopefully everyone’s offseason has been enjoyable, mine unfortunately has been a ton of blah. After spending most of the summer neglecting my duties as Avs writer here, I’m back at work. So it appears to be that time of the year once again for the Cleveland… I mean Colorado “rebuilding season” speech. I will come out and say it last year the Avs pretty much sucked. They pretty much finished dead last and I will not contest that point, nor will I call last year a rebuilding year, because it most definitely was not. They pretty much tried to make the best of another season that was destroyed by NHL commissioner Gary Bettman, depleting the Monsters bench in the middle of a really good season. (The Monsters did really well, considering they had to rebuild the team in the middle of the season, if that hadn’t happened we would have made it to the playoffs.) What we need and what we hopefully have done is rebuilt the Avs. So it is now a twice annual tradition for me to go on about a rebuilding season. The Avs have dismantled, adjusted, swapped, and replaced a large part of the machine in hopes of making this broken machine work once again. We can rebuild the Avalanche, we have the technology, better, stronger, faster. One of the first things that the Avalanche did this offseason was to oust the current regime and brought in former players Joe Sakic and Patrick Roy to lead the boys in burgundy and white. In late June the Avs brought in former d-man Adam Foote as an assistant coach along with several others. I hope that having Roy at the reins will put the team back on the winning path. I am certainly not expecting miracles this first year with Roy. But I do believe that he can get Avalanche off the last line of the NHL rankings and possibly to a Stanley Cup victory by the end of the 2014-2015 season. Now I don’t expect Roy to do for the Avalanche what Terry Francona did for the Indians, that would be an unrealistic expectation, besides the Avs aren’t as cursed as theTribe is. The Avalanche made a number of moves over the summer some of which they have taken some heat for. The first move that caught my eye and most consider to be a minor deal that they spent too much on, was right wing/enforcer Patrick Bordeleau (my favorite player from the Lake Erie Monsters, and major crush). Signing Bordy to a multi-year contract shows what dedication to improving your game can do. Then there was the first draft pick of Nathan MacKinnon over Seth Jones. Some people, ok most people still disagree with Roy’s decision to draft MacKinnon, but there is also the history of the draft to back that up. He did have a little rough patch during camp with a minor injury, but he is slated to be in the line up for opening night. 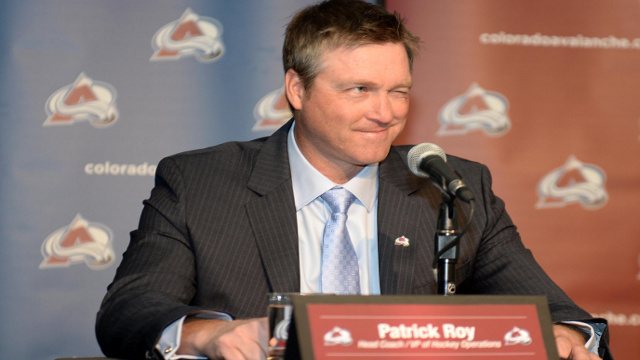 There wasn’t much in regards to the Avs on free agent day unlike most other teams. 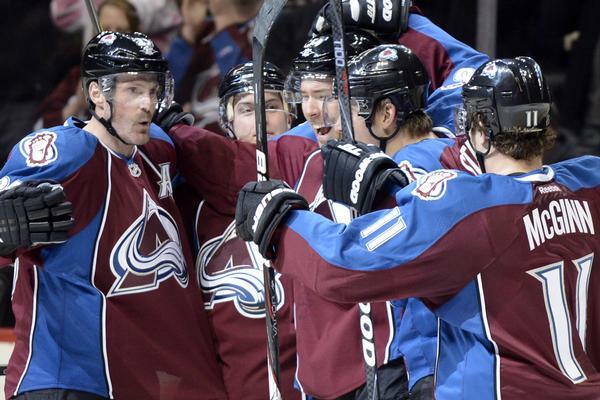 The only other huge player move for the Avs this summer was the trade for former Avs winger Alex Tanguay. There are also a few familiar faces from the Monsters roster that I can’t wait to see play for the big club. At the risk of sounding like a broken record, my expectations are going to be kept realistic. I definitely see the Avalanche not finishing dead last this year. Will we make it to the playoffs? Possibly, but not guaranteed. There were some big changes made in Colorado this year and it might be a bumpy start to the season to get through the growing pains. If anything we will fight to the very last and go down in a blaze of glory. But who knows, seeing my beloved Tribe make it to the playoffs this year and the Browns having a much better record than the Steelers kinda gives me hope. Maybe I’ll even get to write about Cleveland finally breaking a few curses and see the Avs win the cup. This entry was posted in Colorado Avalanche and tagged Adam Foote, Alex Tanguay, Joe Sakic, Nathan MacKinnon, Patrick Bordeleau, Patrick Roy, Season preview. Bookmark the permalink.